Below is a complete list of questions and answers from this years fundraising quizsheet. We would like to thank all those who bought and sold quizsheets to help fund our production and to congratulate Emma Bull for winning this years prize of 2 free tickets to see Fiddler on the Roof. Which is the only country in the world whose flag is different on both sides? PARAGUAY. What material is an ice hockey puck made of? RUBBER. Our big show this year is barely 4 weeks away now! Tickets are on sale and available from Stow Away on Sinclair Street, Helensburgh. See the above flyer or in store for prices. 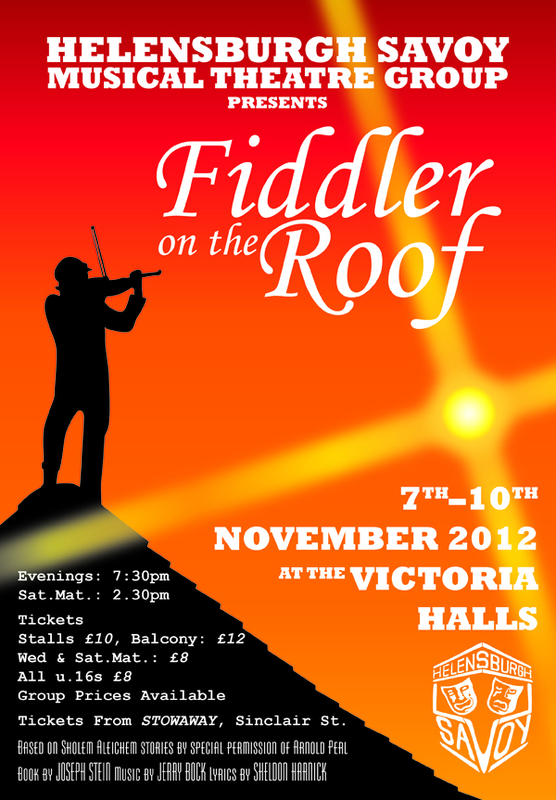 Tickets will also be available on the door, however Fiddler was a very popular show the last time the Helensburgh Savoy performed it back in 1998, so no guarantees can be made for availability on the night.